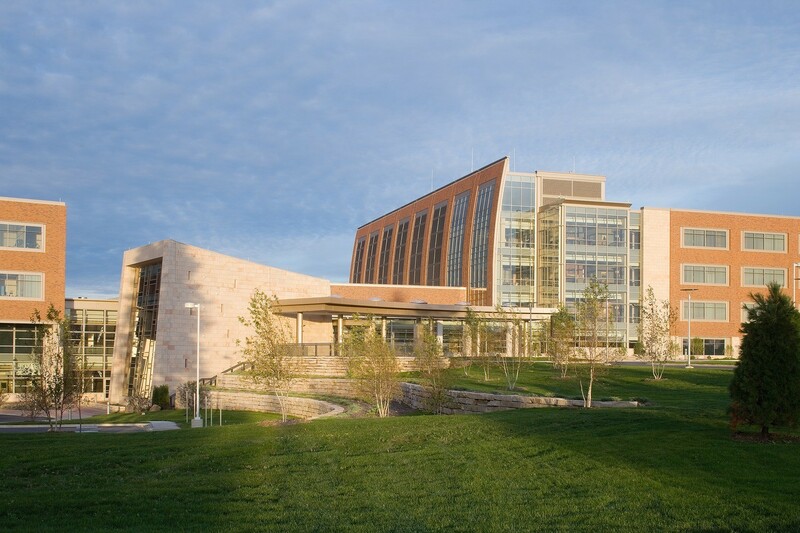 In a joint venture between Ministry Health Care and Marshfield Clinic, the Weston Regional Medical Center efficiently reduces operational costs, maximizes work processes, and enhances patient care. 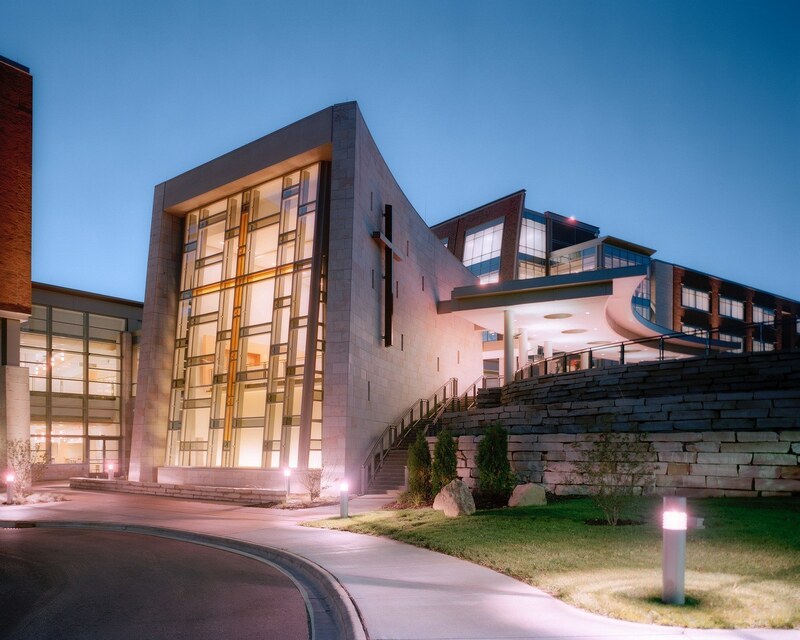 Located in north-central Wisconsin, the 650,000-SF replacement medical campus includes Saint Clare’s Hospital, a Medical Office Building for Ministry Medical Group, Marshfield Clinic Weston Center, and a Diagnostic & Treatment Center. 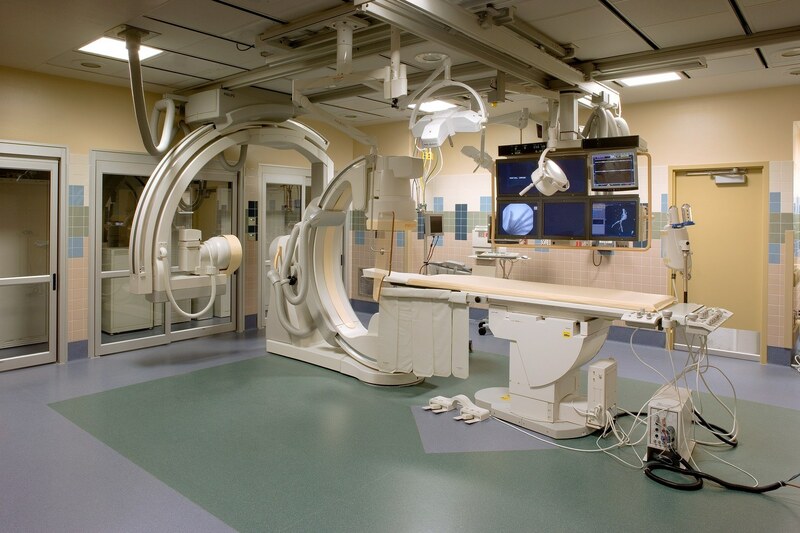 HGA placed the Diagnostic & Treatment center at the campus core to house such cross-disciplinary functions as CT and MRI scanners, laboratories, cardio-diagnostics, radiology, and ancillary services. All other programming radiates off this central core along a pedestrian spine. 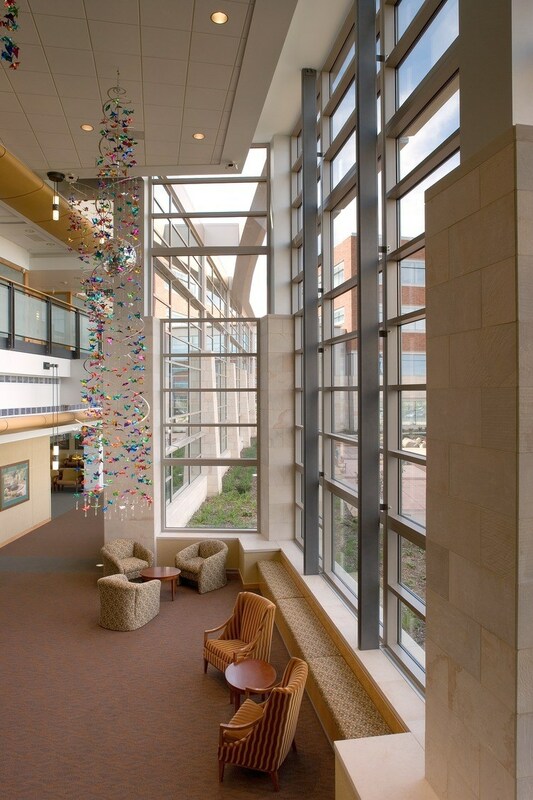 Throughout the Medical Center, abundant daylight in rooms and corridors, views of nature, and soothing colors and furnishings enhance patient well-being. The 56-acre campus on a Greenfield site integrates the surrounding pastoral landscape into a series of ornamental, architectural courtyards. Large forms and warm color palettes allow the courtyards to serve as visual amenities from inside the building. 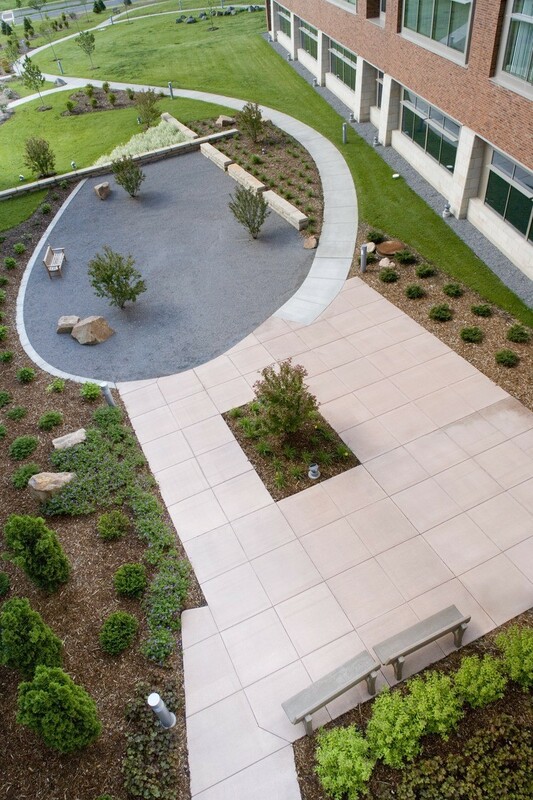 Outside, the courtyards are linked by accessible, curvilinear paths planted with a variety of native species to provide strolling gardens for patients and visitors. 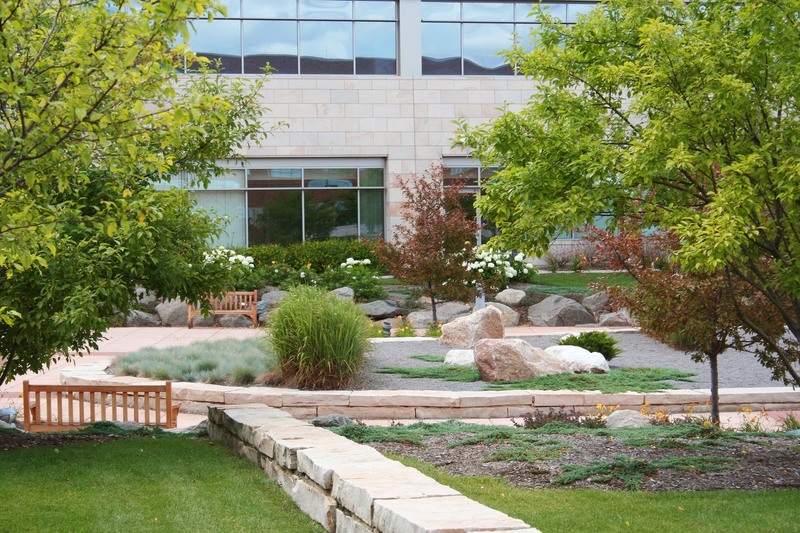 Retaining and seat walls constructed of locally-quarried limestone provide both visual continuity with building materials, as well as prospects and resting places for patients. Advanced telecommunications and information technology (IT) are leveraged throughout Saint Clare’s to enhance virtually every aspect of its operations, making this the first paperless hospital in Wisconsin. 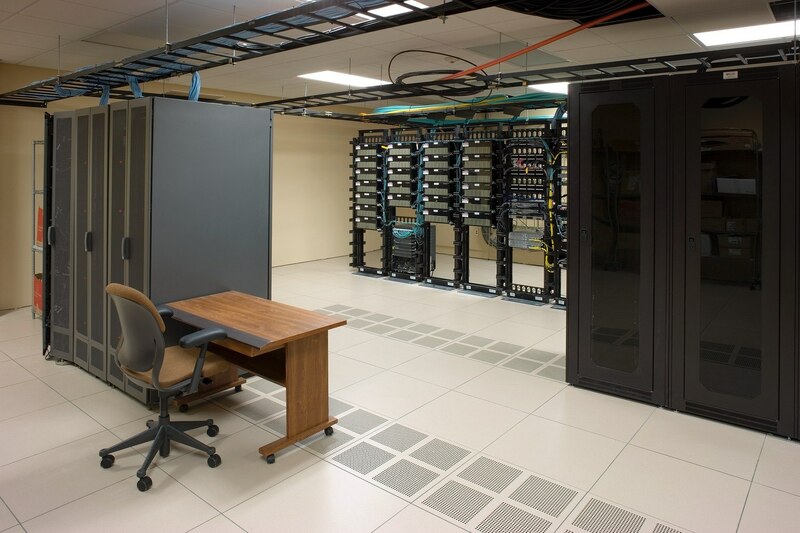 Saint Clare’s features a unified telecom infrastructure that incorporates integrated cabling and a wireless local area network. Access to patient digital records is un-tethered and instantaneous with portable, hand-held data devices. Patient needs are more rapidly met by integrating wireless phones into the hospital’s nurse call system. 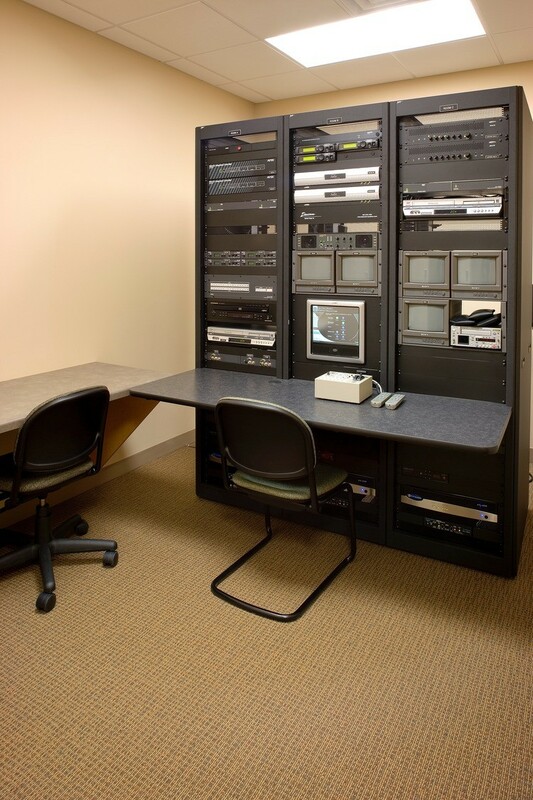 Safety and security for infants, seniors, and employees—as well as control of sensitive departments like patient records and pharmaceuticals storage-are enhance by networked cameras, electronic key cares and other security devices.